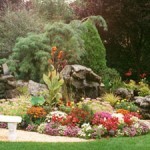 "One of New Jersey's Premier Landscape Contractors since 1989"
Whether you are looking for lawn maintenance or a multi-million dollar landscape project Precision Landscaping Inc can get it done. The owner Rob VanKerschaver supervises every job to meet all design specifications so at the end of the day you are happy. 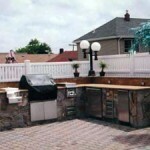 Tina, a client from Hasbrouck Heights, NJ has this to say about Precision Landscaping Inc, "Precision Landscaping did a large job for us six years ago and we were very happy. The job came out great and was worth every bit of the $300,000.00 it cost. We like Precision Landscaping so much we have Rob come over every year to maintain our property. Rob VanKerschaver even stops over when he is in the neighborhood to say hello. 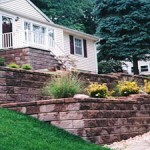 We recommend Rob and Precision Landscaping Inc. to all our friends and recommend you call Rob for your next project." 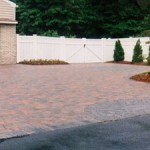 Precision Landscaping Inc also services many Commercial Clients such as Houlihans Restaurants, Burger Kings, La Quinta Hotels, Shaw Industries to name a few. Have question for us? Enter it here.